The wonderful people from Fishlabs from the beautiful city of Hamburg announced the close of their first round of funding by VC Neuhaus Partners. 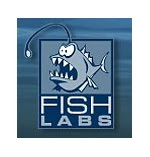 Fishlabs, who are specializing in high-end 3D mobile games want to use it to add connectivity to their games. Wonderful coincidence then that "best friends" Exit Games are also an investee of Neuhaus. Whilst I am not sure if the words of the Neuhaus Partners Managing Partner according to which 3D games are about to become mass-market are true just yet, the addition of connectivity to the beautiful titles of the Fishlabs guys will make for a very powerful proposition. And it might not matter when the mass market sets in because the niche for these high-end gems might just about become large enough for a gifted development house. 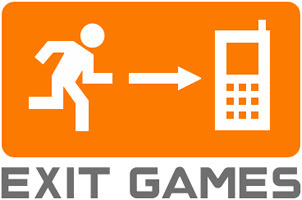 The perceived value of such games will be higher and, with Exit Games' connectivity suite, this value can be extended even further. This seems to be confirmed by a couple of deals they have done in the past months where they extended distribution to highly evolved regions like Korea as well as with some tier-2 publishers like Player X, which has a larger reach than Fishlabs could have mustered themselves. In any event, I wish them a good catch! Disclaimer: yes, I have lived in Hamburg and love the city. Yes, I know the guys from Fishlabs and Exit Games and really like them. No, I do not benefit in any way.